I am going to sell you a podcast. Give me forty-five minutes of your time for eleven weeks, and you will walk away with an abundance of knowledge taking you from the heartland of the Midwest all the way to the Oval Office. This new show has endless resources, experts and witnesses; it even has fact checkers. You can trust me when I say that this podcast is worth the investment. I would like to share this opportunity with you. Are you in? If you aren’t wholly convinced by this sales jargon and hyperbole, then The Dream, a new podcast from Stitcher and Little Everywhere, shares your skepticism. But the first episode of the series, which is narrated by host and producer Jane Marie, truly makes you feel that you’re being sold on such a premise. A murky yet entirely true tale of 80s greed and optimism, the episode tells us of a pyramid scheme where people hand over $1500 and in return are promised a game that will make them rich. It is a captivating story, but one that feels limited. The crime is manipulative — pyramid schemes are illegal for a reason: there will always be losers — but the creators of this game aren’t portrayed as inherently malicious. And it is not until well into this episode that we begin to understand what the show is really about: “Multi-Level Marketing,” or MLMs. Listeners attuned to podcasts filled with historic scandals or wide-ranging political commentary might balk at the idea of a podcast that focuses on such a niche area of the American economy. Upon first listen, the concept can feel narrow and mundane when compared to the high-stakes stories in shows such as Slow Burn. Hence the flashy first episode. But unlike the companies that the show dissects, The Dream doesn’t disappoint the deeper you delve. What’s effective about this eleven-episode series is its ability to bring focus to this industry while providing a broad perspective. The podcast zooms in and out, encompassing both the deeply personal and shockingly political. It is not a false hook when Trump features in the first episode. It emerges that his more inflammatory scandals have overshadowed his investment in the MLM industry. And scrutiny of the historical factors that have led to the economic and political power of MLMs, most clearly felt in episode two, “Women’s Work”, reveals the way patriarchal structures have led so many women, especially those who are economically disadvantaged, to sign up to work for these companies. That episode’s tone is entirely different from the first, and provides a stark contrast to the later episode “The American Way,” which exposes the political influence that MLMs have within government. Yet the show’s biggest success is in the attention it pays to the individuals exploited by these schemes. Marie is personally invested in MLMs manipulating poor communities, as she’s from a town in Michigan where thousands of residents have bought into becoming low-level sales representatives. Her insight and sensitivity are key to the podcast’s success. Although she is highly critical, she has access to circles of past and current employees, giving the show the breadth needed to discuss an issue that covers everything from selling Tupperware in the 1950s to today’s barely-legal personal development conferences. Criticism has been leveled that her investment often comes across as bias, particularly in episode four, in which the insidious messaging of self-improvement conferences is exposed as a tool used by MLMs to manipulate their recruits. But as the series progresses, her voice becomes less dominating, and as long as we remain aware of her sway, I don’t consider this a reason to switch the series off. Doing so would also mean missing out on appearances from producer MacKenzie Kassab, who attempts to become a sales person for the company Lime Light. Her contributions, alongside expert Robert Fitzpatrick’s, provide a welcome alternative to Marie’s sometimes heavy-handed narration. And despite its historical scope, The Dream stays grounded in political relevancy. It incorporates the feminist issues around Multi-Level Marketing with the state of Trumpism and poverty today. The way that disempowered groups are manipulated by big business and politicians alike is a consistent thread running through the series. Parallels can be drawn between the podcast and Benjamin Markovits’s 2015 novel You Don’t Have to Live Like This, in which a group of disillusioned Yale grads are convinced by a multi-millionaire school buddy to move out to abandoned areas of Detroit after the financial crash to “regenerate it.” By recruiting others to join their scheme, they, like MLMs, are creating a structure that relies on the manipulation of friendships and social media to create profit for those at the top. It’s chilling that both concepts rely on the hopes of dilapidated areas of America for their success. While both schemes depend on political power, their true effect is felt at the ground level. And what The Dream achieves well is highlighting that much of this exploitation is embedded in a system of capitalist opportunism that has been manipulated by marketing companies for decades. Modern injustice often has a deep legacy. 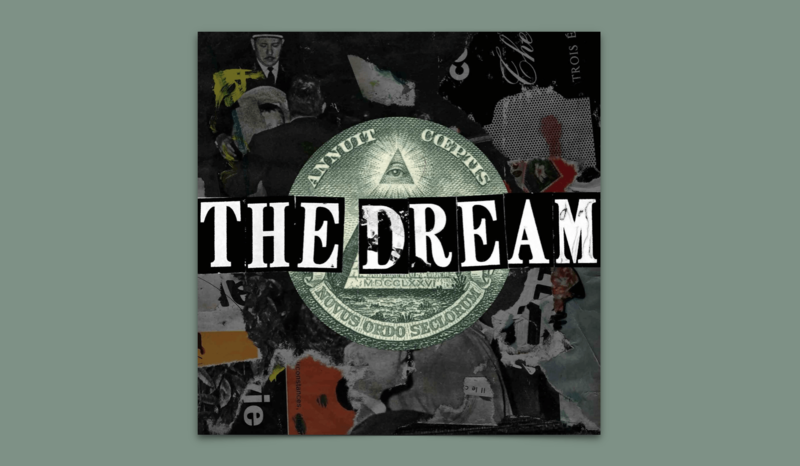 The Dream strives to unravel the insidious complexities of these types of schemes, and the frustration at the legal limitations of being able to call MLM companies pyramid schemes is audible throughout. This gives the show a sense of immediacy and urgency, especially as legislation attempting to help MLMs avoid this classification is passing through Congress. It is hard, however, to imagine The Dream’s investigation making any real impact legally, especially if the influence of these companies goes as high up as the show claims. This is a podcast that is difficult to classify: it is true-crime of a sort, but also political commentary. Perhaps its resistance to classification has proven to be vital element of its popularity. Still not convinced by my pitch? The Dream certainly won’t change your life, but it might make you consider whether the corruption surrounding Trump might be his secret status as an Avon representative. Behind its noise and flashy promises, The Dream is a compelling story told by intelligent and determined people, most of whom are women. It breathes a fresh premise into a narrative format that is quickly becoming formulaic within podcasting. So, are you in?